Pastor Randy and April (his wife) are native Ohioans. 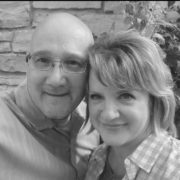 They began their full time service over 20 years ago at Christian Life Center, in Dayton, where Pastor Randy served as a staff associate (worship pastor for 12 yrs). Sensing the call of God to become a lead pastor, the McKinney’s moved to St. Mary’s Ohio and served in a rural church for the next 7 years. In the summer of 2013, they moved here to Elyria to become the lead pastors of Cross Community Church. Pastor Randy is an ordained minister in the Assemblies of God and received his education through North Central University and Global University. April is a licensed nurses assistant and a hairstylist. Randy and April are blessed with three children, Brendan (Wife Shelby), Mattea and Tiffany (husband – Brent Boudreaux) and one granddaughter, Keira. They are glad to be a part of what God is doing in Northeast Ohio! 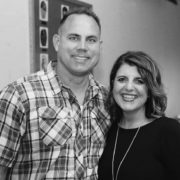 Pastor Carissa and her husband Todd have been serving God in ministry for more than 20 years. They have worked at churches from Illinois to California until 2006 when they came to CCC. (Fun Fact: P. Carissa grew up here) They both love to stay active, hangout with people (esp. teens and young adults), and most of all, they love to laugh! If you see a group of people having a good time, Todd and Carissa are probably somewhere in the middle of the bunch.